End of the day at Traigh Mhor, Islay. Beyond Soldier's Rock, the coastline of the Oa peninsula is riven by a series of basalt dykes in various states of erosion. Some like this one are still in place. 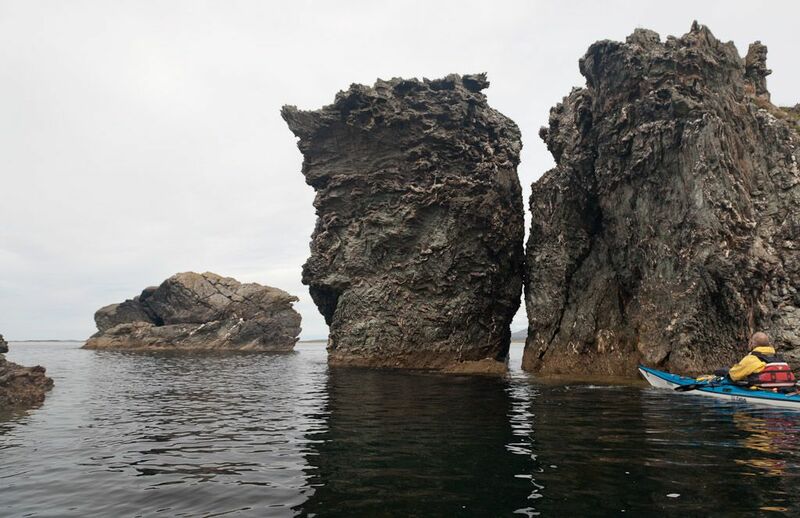 Others like this one, through a stack off Rubha Mor, have eroded away leaving channels just wide enough for a kayak to sip through. 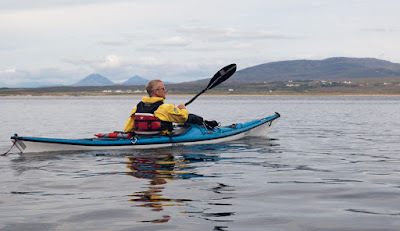 When we rounded Rubha Mor we saw the great sweep of Traigh Mhor backed by the distant Paps of Jura. It is one of the biggest beaches in the Hebrides. 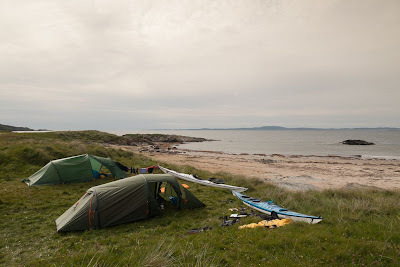 Our two day trip round the south coast and the Oa peninsula of Islay came to an end at the commercial camp site at Kintra. While I pitched the tents and unpacked the gear, Tony cycled the 21km and 360m of height to recover the car at Claggain Bay. 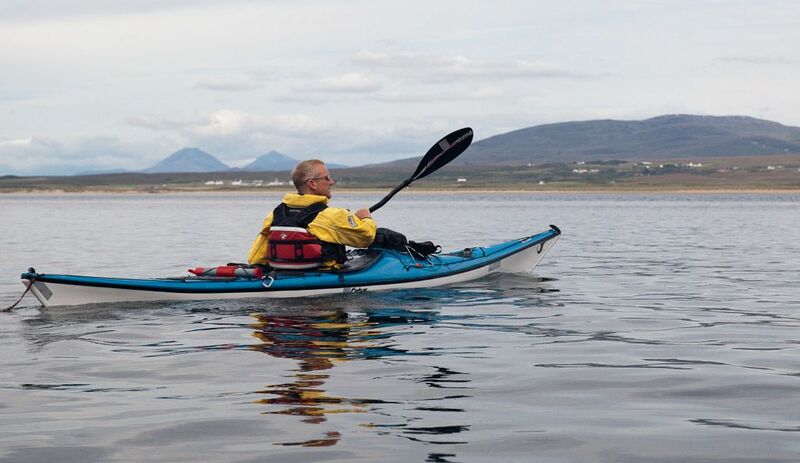 If you arrive by sea kayak, check in at the farm before you pitch your tent as there are a limited number of pitches by the sea and you might need to carry your gear about 100m inland. That night we enjoyed an excellent curry in the unprepossessing Maharani Restaurant in Port Ellen all washed down with lashings of ginger beer (it is not licensed). 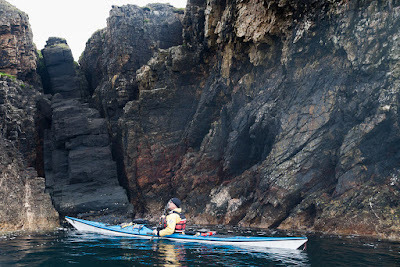 We both agreed that the west coast of the Mull of Oa is one of the best paddles that we have ever done.